Looking back on 2018, the last quarter saw us develop some exciting new corporate partnerships, make great progress in our programmes and celebrate an important milestone — our 20th anniversary. In the last half of 2018 we mobilised a team of Zambian trainers, who travelled to Sierra Leone to deliver essential motorcycle training. By November, 190 field officers working on a national education initiative had been trained. We also delivered training of trainers to ensure that sustainable capacity is left in Sierra Leone. After data from the MAMaZ Against Malaria (MAM) pilot recorded an incredible 96% reduction in child mortality from malaria in the Serenje district, Zambia, we were awarded funding to scale up the programme. 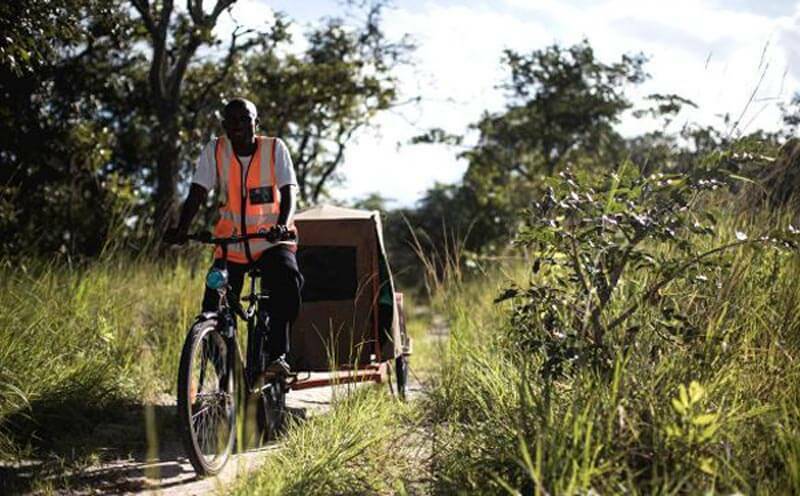 Work on the scale-up began on the 1st December, and we now aim to reach over 220,000 people in rural Zambia. The MAM scale-up will be in part funded by the proceeds of our Christmas appeal, which beat its target to raise over £29,000. Meanwhile, other fundraising efforts in the UK have taken us to many industry events in the run up to Christmas. We were delighted to attend the FTA Logistics Awards, Seahorse Christmas Party, CILT Fellows’ Lunch and Global Freight Awards amongst others. 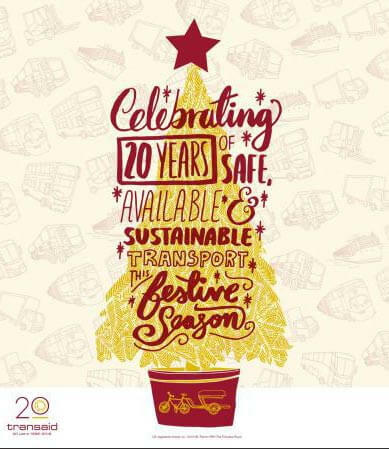 We are now looking forwards to a busy and productive 20th anniversary year, as always motivated and humbled by the invaluable support we receive from the industry. Transaid was delighted to see the MAMaZ Against Malaria programme featured in the New York Times in December 2018. The story highlighted the pilot’s outstanding results reducing child mortality from malaria in rural Zambia. You can read the full story online here. MAMaZ Against Malaria was also featured in the Guardian in October. You can read the story here. In addition to hosting our 20th Anniversary Showcase in November, Transaid has also had a presence at several industry events. On the 9th November, CEO Caroline Barber went to the Transport News Scottish Rewards Breakfast, which raised an astonishing £7,065. The figure was a record for the event. 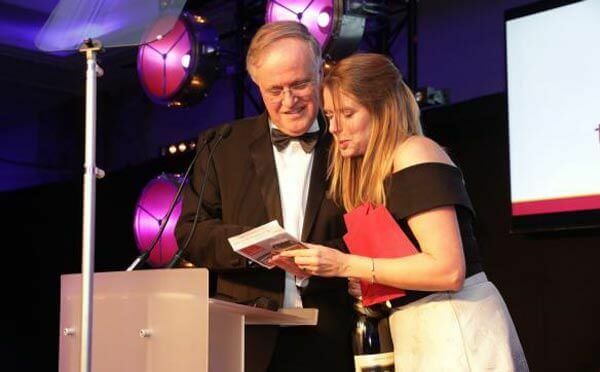 Events highlights for the quarter also include the Global Freight Awards, where over £2,380 was raised, and the FTA Logistics Awards, which raised over £4,500. Thank you to everyone who donated to any of the raffles run at industry events this quarter. This quarter, BigChange once again became wonderful ‘Gold’ supporters of our Christmas Appeal, enabling us to reach and exceed our £25,000 fundraising target! Transaid was also delighted to be invited by BigChange to partner on the ‘Leaders for Life’ initiative; inspiring CEOs and senior executives to raise awareness of the importance of road safety. So far, you have already made £1,650 worth of donations to Transaid through the scheme. Thank you! Lastly, but perhaps most importantly, we received news this quarter that two bicycle ambulances donated by BigChange have been distributed to the selected communities. They were received with great appreciation and songs of jubilation, as these two communities now have means of transporting children with severe malaria to the health facility.Transaid, our partners and the whole community are so grateful to Martin, BigChange and to Mike for making this possible. Children’s lives are certain to be saved as result. We are extremely humbled and grateful for the incredible response to Transaid’s 2018 Christmas Appeal. This year the appeal surpassed its original £25,000 fundraising target to raise an impressive £29,245, an improvement on last year’s total of £26,442. A huge thank you to everyone who supported the appeal and made this phenomenal total possible. Alongside the magazines that published our festive advert on a pro bono basis — Coach & Bus Week, Forwarder, Motor Transport, SHD Logistics, and Commercial Motor — we are also very thankful for the enthusiastic response from corporate supporters, which was instrumental to the appeal’s success. This year Transaid was also given an exciting match funding opportunity which doubled every donation given by individual non-corporate supporters. To make the most of this, we set ourselves an additional individual fundraising target of £3,000. The total raised towards this secondary target currently sits at £3,795, and we are once again overwhelmed at the generosity of those who have donated to help us reach our goal. 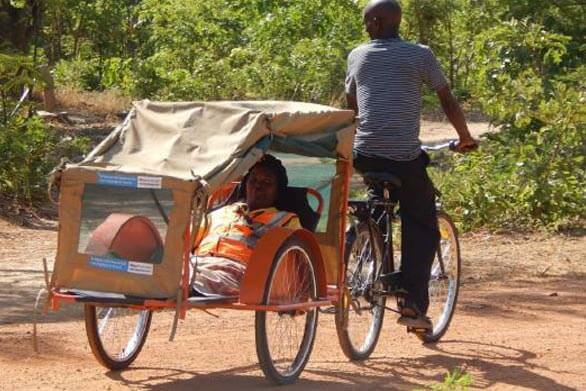 The proceeds from the appeal will be put towards the MAMaZ Against Malaria programme, which has already seen a staggering 96% reduction in child mortality from malaria in the Serenje District, Zambia. The fantastic results of the appeal will help us reach even more rural communities who currently lack access to vital medical services. 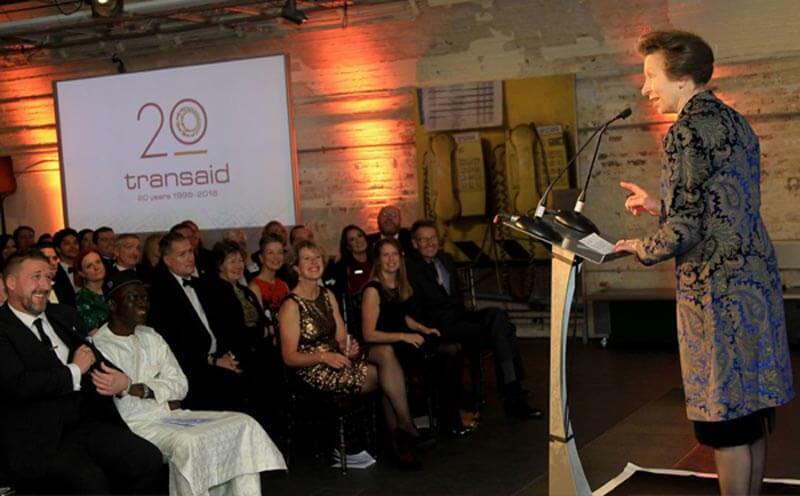 On the 21st November 2018, Transaid celebrated its 20th anniversary with a special showcase event in London. The event was attended by over 150 industry supporters, partners, ambassadors, and the entire Transaid team, as well as Patron HRH The Princess Royal. The Anniversary Showcase highlighted Transaid’s journey through the past two decades as well as showcasing a variety of our achievements over the years. We also unveiled our 20th anniversary film, which sheds light on the direct impact that Transaid’s programmes have had on people’s lives in Africa. The video has since been made available on our YouTube channel, here. Transaid CEO Caroline Barber took the opportunity to announce the scale up of the MAMaZ Against Malaria programme in Zambia, which saw outstanding results in its pilot earlier that year. She also welcomed Lytx, who had recently pledged their support to Transaid, as a corporate member. Ismaila Balogun, a member of the Chartered Institute of Logistics and Transport, shared his personal experience working alongside Transaid to implement the Emergency Transport Scheme (ETS) in Adamawa State, Nigeria. He highlighted the positive change brought to the area by the scheme, which he had seen first-hand. The event was held at Mail Rail — The Postal Museum, home to the one hundred year old Post Office underground railway. The venue was once the hub of logistics activity for Royal Mail in London. In October 2018, Samworth Brothers Supply Chain donated a training vehicle to Transaid, which will help meet the growing demand for qualified HGV drivers in Uganda. This is the first show of support from the temperature -controlled distribution service, which operates within the Samworth Brothers Group. 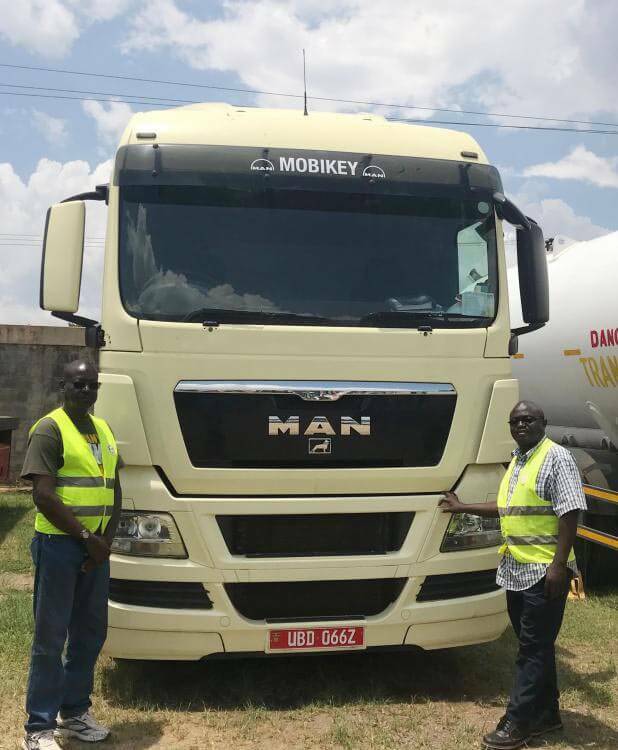 The MAN TGX truck was shipped over 6,000 miles to become a dedicated training vehicle for the Professional Driver Training — Uganda (PTD-U) project. Globally, road traffic accidents are the biggest killer of children and young adults aged 5-29, with road deaths being three times higher in low income countries (source: WHO). PTD-U aims to build the capacity of heavy goods vehicle (HGV) and passenger service vehicle (PSV) driver training in Uganda, improving road safety in the process. The project was secured in partnership with the German development cooperation’s GIZ E4D/SOGA – Employment and Skills for Eastern Africa, local nongovernmental organisation – Safe Way Right Way, the Ugandan Government and the local private sector. The PTD-U training school has since opened its doors to train the first group of drivers. There has already been huge demand for the service, with over 4,000 people expressing their interest in response to a recent media campaign. The first 52 trainees have already completed the project’s license acquisition training course. Neil Rettie, Transaid Road Safety Project Manager, said the vehicle donation will support the PTD-U school’s continued success. “We anticipate a massive demand for high quality professional driver training in Uganda and we are so thrilled to welcome each new driver that expresses an interest in training with the PDT-U school. The donation follows in the tracks of a similarly specified Volvo FH tractor unit which was previously donated by corporate member Volvo Trucks. Together they will be used to haul a platform trailer — donated by W H Malcolm — loaded with an empty container for driver training. Thanks to the two second-hand vehicles and the trailer, Transaid can effectively double the number of drivers trained in a given period.